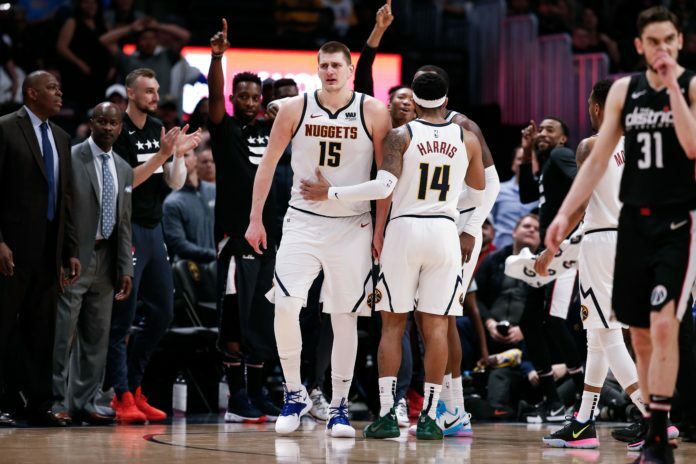 The Denver Nuggets went into Sunday’s game on the heels of the Golden State Warriors for the first seed out West with a 51-24 record on the season. 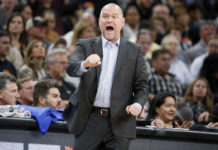 Denver was coming off of their most complete game of 2019 as they beat the Oklahoma Thunder 115-105 on the second night of a back-to-back in Oklahoma City. On Tuesday, Denver will face off against the Warriors in a highly-anticipated game, but first the Nuggets had a home appearance against the Washington Wizards who were just eliminated from the playoff race. Denver’s offense did not show up and the Wizards capitalized by grabbing a rare win on the road in the Pepsi Center which kept Denver in second place in the Western Conference. In a game that had one of the worst third quarter performances of the season and Nikola Jokic getting ejected, here are the the good, bad and ugly from Denver’s brutal home loss. Although it was one of the worst losses of the season, there are plenty of things to look at and appreciate. The Nuggets still have 51 wins on the season and remain two and a half games up on the Houston Rockets for the second seed in the West. Denver also remains amongst the top teams when playing at home and have to like their chances against nearly anyone while on the home court. In a game where the Nuggets put together one of their worst quarters of the season, only scored 28 points in a half, and were missing their starting point guard and superstar center to close the game, Denver managed to only lose by five points. Denver has been finding ways to win close games like this, but missing their two best players to close the game was too much to overcome. Still, now is not the time to panic. Denver has been proving all season long that they are battle tested and these challenges will only help them in the grand scheme of things with the playoffs right around the corner. One of the biggest cracks in the Nuggets’ armor all season has been their propensity to let up on teams unnecessarily. Denver, for some reason or another, goes through a gap where they are not scoring well, are not locked in defensively and the other team makes a push to get back in the game. Against the Wizards, it happened twice. Once in the second quarter as well as in the third quarter which happened to be one of the worst quarters all season for the Nuggets. Washington was down by as many as 15 points early in the game before storming back in the second quarter to make it a one-point affair. Malone elected to not call a timeout in that frame to stop the bleeding because he wanted his team to push through another difficult time. Denver responded as they fought to push the lead back up to nine points heading into halftime, but the Wizards would not go down easy. The Wizards came out and put together one of their best defensive quarters of the season as they limited Denver to only 10 points in the third quarter. Denver lost the frame 22-10 and set themselves up for another nail-biting fourth-quarter finish. In the fourth quarter, Denver’s offense failed to show up once again as they were only able to put up 18 points. Additionally, Denver had to play without Jokic who was ejected as well as Murray, who left the game with a sprained left ankle. Denver has to continue attacking teams for the duration of the game and not taking their foot off of the accelerator. If Denver wants to be a team that not only gets to the postseason, but wants to keep advancing in the playoffs, they are going to have to play to the best of their ability for a full 48 minutes at a time. Offensive woes and defensive lapses cannot be something that Denver becomes comfortable with; especially with every single possession mattering in a tight playoff series. Early in the game, Denver fans did not have to hold their breath for only one injury, but two. And to make matters worse it was to the Nuggets two most important players. Denver was just finding their groove in the first quarter when Murray switched onto Bradley Beal. Beal made a move and attacked the rim and Murray’s foot got caught under the charging Beal. Murray then tried to walk it off with a noticeable limp before Malone issued for Murray to head to the bench. Once on the bench, Murray was looked at by the trainer before heading back into the locker room. 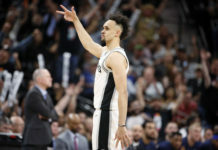 Murray did return to the game and finished with 12 points before heading back to the locker room once again near the end of the third quarter and not returning. Moments after Murray returned to the bench in the first half, Jokic took a shot to the face and had to head to the locker room to get his nose looked at after getting hit in the face by Bobby Portis. 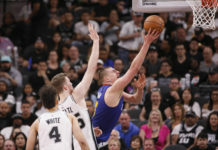 Jokic ended up returning to the game, but was later assessed two technical fouls in the fourth quarter which led to his ejection. Jokic was well on his way to having another incredible game as he lit the Wizards up for 24 points, four assists and 13 rebounds before being removed. After the game Malone had some choice words for his All-Star center. Jokic has to be smarter about not letting his attitude get the best of him. Keeping his composure is something that Jokic will have to work on.